Last week we had a chance to see how the Anti-Personnel Omni-Directional Maneuver Gear works in Attack on Titan 2: Final Battle. If you want to topple Titans as efficiently as possible, it would behoove you to master the latest new weapon on display: the Thunder Spear. Whether you need something effective to use against the Armored Titan or you just need to take down a regular Titan with ease, the Thunder Spear is there for you, so see it in action in Koei Tecmo’s new clip below. 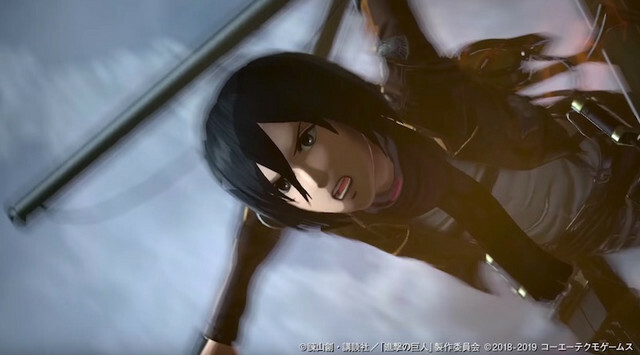 Attack on Titan 2: Final Battle hits Japan on July 4, 2019, arriving in North America and Europe the day after, July 5th, and will be available on PlayStation 4, Nintendo Switch, Xbox One (with Xbox One X support), and on PC through Steam.